Hey Ecophiles, One of my dreams is to swim with whale sharks but I don’t want to harm or disturb these gentle giants by getting in the water with them. How can I make sure my whale shark encounter is responsible? That’s a great question. Swimming with whale sharks is an incredible experience but it’s so important that the sharks – and the tourists themselves! – aren’t harmed by any encounters. Why is it so important for us to protect whale sharks? Whale sharks are a huge asset for eco-tourism, particularly in poor countries, because they are totally harmless to humans so you can swim with them. However, they are threatened by many things such as ocean pollution, overfishing and strikes from boat propellers and there has been a steep decline in sightings in recent years. Whale sharks are currently classified as Endangered on the IUCN Red List. Also, they take a long time to reach sexual maturity – we estimate around 30 years – so we need to make sure they reach that age to reproduce and help the species survive. Why is it so special to swim with a whale shark? They’re so big, you have no clue where they’ve been, you have no clue where they’re going. The fact that the allow you to swim next to them is really humbling for me. Being in the water with them is the best therapy. What are you doing to make sure whale shark encounters are responsible in Madagascar? Many people come to Madagascar specifically to swim with whale sharks so it’s an important source of tourism to the island. We have developed a code of conduct which helps local operators understand why responsible tourism is so important and show them best practices to protect the sharks while making sure tourists stay safe and have the best possible encounter too. 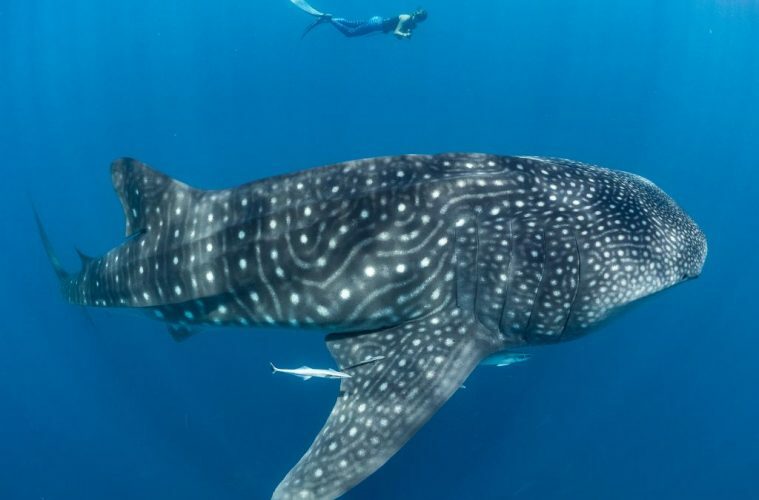 Research has shown that unmanaged tourism has been linked to declines in sightings of whale sharks so it’s important to minimise the impact on the sharks. As a result, they will be more relaxed so you’ll have a longer, more positive encounter and better overall experience. With fewer tourists crowding the sharks, you’re likely to get better pictures too! What’s the most important thing for me to do when organising a whale shark encounter? The most important thing is to make sure you’re using a sustainable operator. Read up before you go to find out what’s happening in the local area, ask the operator if they have a code of conduct and, if not, reach out to the local NGO to let them know that it’s not being followed so they can approach them and try to change that. How would we know if a shark is unhappy? It’s quite simple: if a shark doesn’t want you around them, they will leave. So if they’re unhappy you’ll notice avoidance behaviours such as swimming faster, banking (rolling over and presenting its back to you), suddenly changing direction or diving down. What should boats be doing? Only one boat load of people should be in the water with a shark at a time, ideally. If there are more boats in the area, the others should wait until the first group’s encounter has finished. We recommend no more than 10 people in the water with a shark at one time – this also means they’ll get better photos without other people in the way. Also, whale sharks will regularly show avoidance behaviours when boats get too close – boats shouldn’t come closer than 25m to a shark with its motor running. If the shark approaches closer still, the skipper should turn the motor off to minimise the risk of injury – both to the shark and any swimmers in the water. And what should I do as a swimmer? Whale sharks can be nervous around swimmers and can react unexpectedly when touched by humans so maintain around 3m distance (4m from the tail) and never touch or try to “ride” them. Also, don’t block their path: if they’re swimming towards you, move to the side to let them go past and don’t use selfie sticks in the water. If the shark starts to show avoidance behaviour, stay at the surface and give it plenty of space. Do you have any examples of bad practice? Usually encounters are managed well but there are some places, like in the Philippines, where they feed the whale sharks and also allow touching. I don’t think that’s fair. I’ve also been free diving with whale sharks before when boats got too close with their engine running and, as I ascended, they were right above me. Imagine what could happen to someone who wasn’t experienced, or to a shark at the surface. It can be really dangerous! Why is the code of conduct so important? As well as protecting the sharks, the code of conduct is for the safety of the clients. Of course it’s going to help if no sharks have their tails cut by boat propellers but it’s also going to prevent incidents for people and make it safer and more enjoyable for everyone. For you, what’s the best thing about the code of conduct? Since we implemented our code of conduct it’s great to see how many people become ambassadors for the cause. If they then see someone behaving irresponsibly, they will speak up! Isn’t it better to just not get into the water with whale sharks? This is always going to be a hot topic. I do believe we should leave animals in peace but I also think if you want to protect them you need to study them. 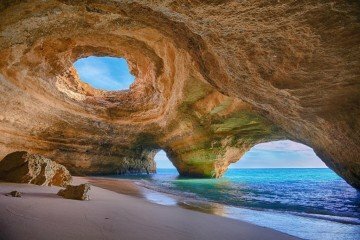 Because there’s no money for this type of research, we study them through tour operators. So, in a way, we don’t really have a choice as scientists but having a good code of conduct is a compromise makes the experience better for the tourists while also protecting the species.